Learn about what are credit scores, how to purchase them, and more importantly what learnings you should take away from the score provided. The score is a statistically based score indicating an entity's credit worthiness. 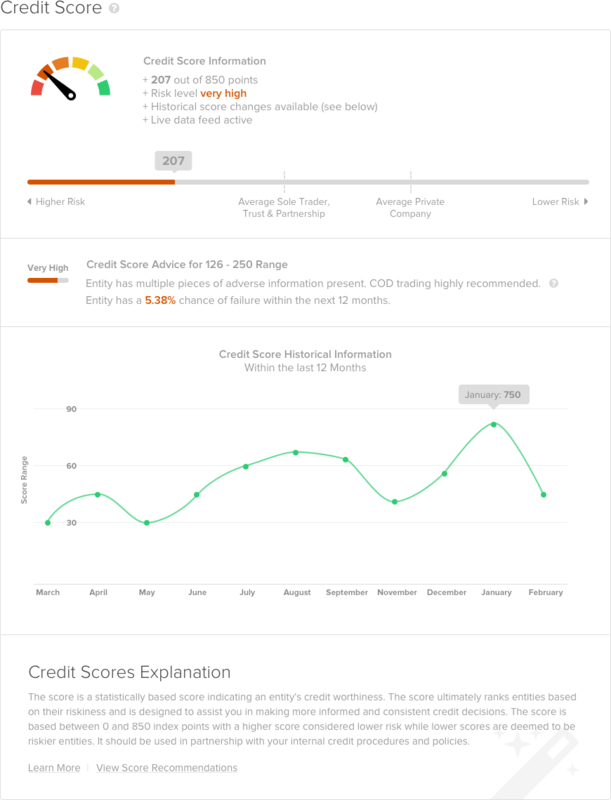 The score ultimately ranks entities based on their riskiness and is designed to assist you in making more informed and consistent credit decisions. The score is based between 0 and 850 index points with a higher score considered lower risk while lower scores are deemed to be riskier entities. It should be used in partnership with your internal credit procedures and policies. Prior to retrieving a credit score, you will be presented with a message outlining what information is included when you retrieve the score. Scores will either be purchased or retrieve by using a free inclusion from your plan. The message will look similar to the image below.